Melbourne Victory manager Kevin Muscat claims that his team have a mountain to climb when it comes to the Australian league after a 1-0 loss against Sydney during the weekend. It was a surprise result for the team hoping to take some points away from the table leaders. Melbourne Victory came into the game with a slim chance of finishing top of the tree. They were trailing Sydney by seven points, which seemed an achievable figure considering that the league still had five matches left in the season. Furthermore, three of those games were at home. Yet, a 1-0 loss against the table leaders has left the club with a mountain to climb, according to Muscat. Bobo scored the only goal of the game in the 50th minute to help Sydney extended their lead at the top of the table. Even though there is no danger of Melbourne Victory being caught up by rivals like Melbourne City for a place in the top two, Kevin Muscat would have been hoping for the top spot in the table. Sydney would consider this result as a deserved result, as they dominated from start to finish. The team had an incredible 18 shots on goal, compared to just six from Melbourne Victory. 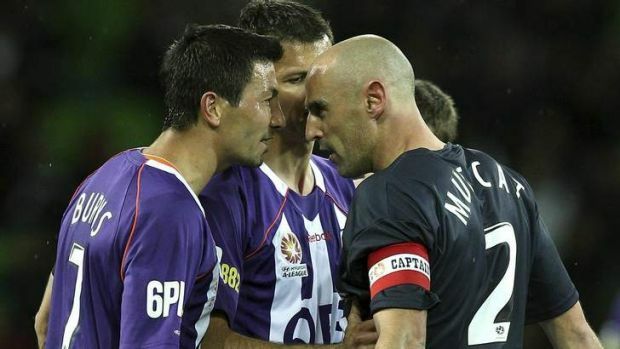 Melbourne Victory’s next game is against Perth Glory and it is also expected to be a tough match. Perth Glory will be coming into the game with a lot of motivation, as they could potentially see themselves in the third spot if results are favourable. A troublesome point for the club is that their last two away games against Brisbane Roar and Western Sydney Wanderers are going to be especially tough. Comparatively, the home matches against Wellington Phoenix and Central Coast Mariners are expected to be a walk in the park for Melbourne Victory.